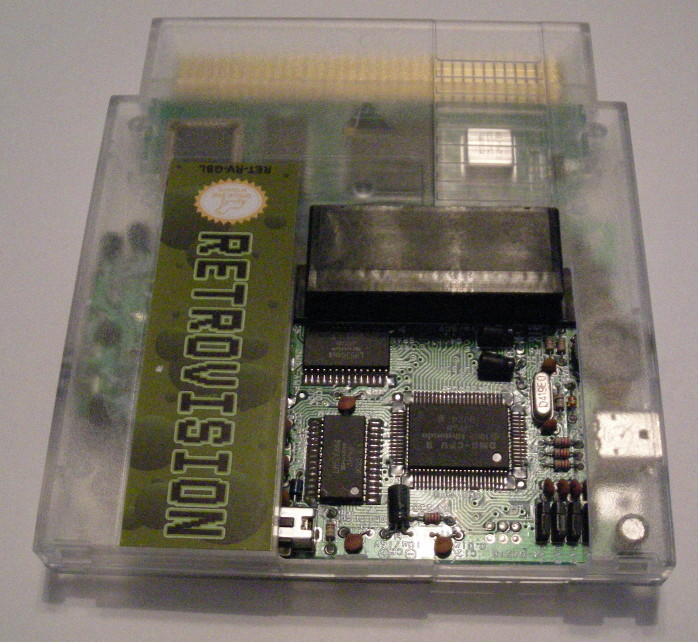 A first generation Game Boy is stuffed inside a NES cart and wired to a custom board to translate the GB graphics to the NES. All the original ports are still accessible so you can hook up headphones/speakers or connect multiple systems together with the link port. Because the full authentic board is used there are no game compatibility issues. 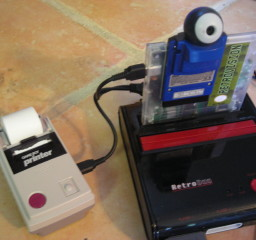 Even use the Game Boy camera and printer! If your front loader console has the audio resistor mod then the Game Boy audio is pumped through your NES. Other systems will need to use the headphone jack on the side of the cart. 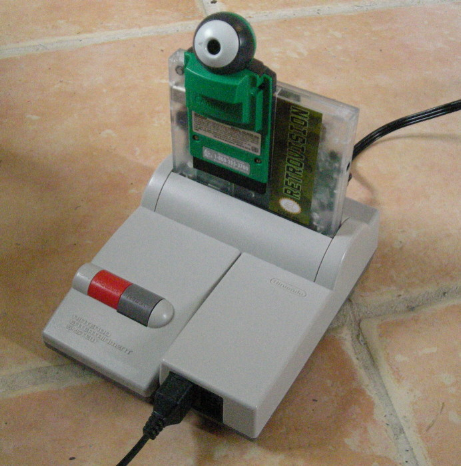 The cart will fit in a front loader however it will need the metal bar pulled out like with the Game Action Replay. 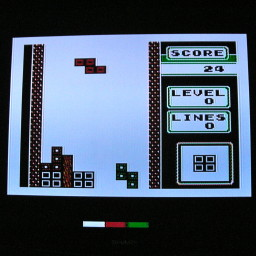 Using the 2nd controller the color palette can be swapped between 8 settings. 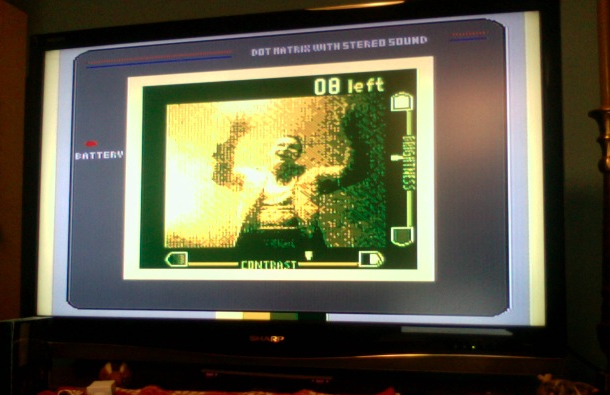 The outside border can also be changed to the Game Boy border, black, white, or an extension of the GB colors. Custom color sets can easily be created if requested. 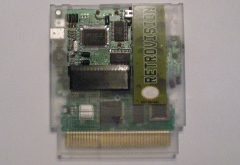 The RetroVision cart includes the Ciclone lockout chip for all NES console regions. The region can be changed by pushing the reset button when the console power light is blinking. Yes the Super GameBoy is much cheaper. So is the GameBoy Player for GameCube. If you think pointing that out is somehow clever, you are missing the whole point! 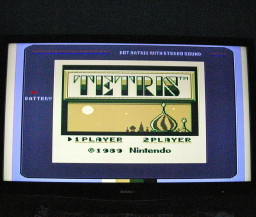 Big screen Tetris Swap color palette Camera and Printer!